I don’t think there is a correct or one-size-fits-all definition of Shift-Left, neither is there one for DevOps, Cloud-Native or any of these other heavily used terms. What I do know is that there are experts in our industry trying to make it easier for engineers to get faster self-service quality, performance and scalability feedback about their proposed code changes. 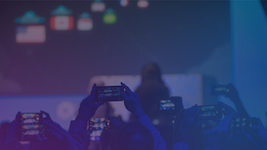 In a recent chat with one of our customers who works in the in the financial sector, I was told about how they transformed their core financial services leveraging a modern cloud native architecture running on AWS. 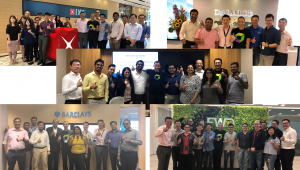 That transformation also included a shift of their development practices, their delivery pipeline and how to provide feedback to engineering and business earlier in the development cycle! To give you one example: Instead of executing performance tests at the end of the Kanban time-box or at the end of the release cycle, performance tests are run for every build deployment and daily scheduled runs for latest code changes of each microservice. This gives both the infrastructure and development teams more and faster feedback about the impact of code or configuration changes on performance, scalability and resource consumption. In a remote desktop session, their performance engineering team lead showed me their Dynatrace environment. I took a couple of screenshots and notes and hope that this will inspire others to redefine performance engineering with the power of the cloud, containers and Dynatrace AI. As I am respecting their request of anonymity, I have blurred out sensitive information in the screenshots! Let’s start with explaining what type of environment the performance engineering team is providing to the engineering teams to get faster performance feedback. 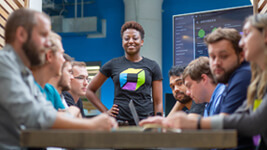 They run a Dynatrace Managed installation in their AWS VPC, running 10 different Dynatrace Tenants to separate the different pre-production environments they are monitoring (Feature1, Feature2. Feature n, Performance, etc). 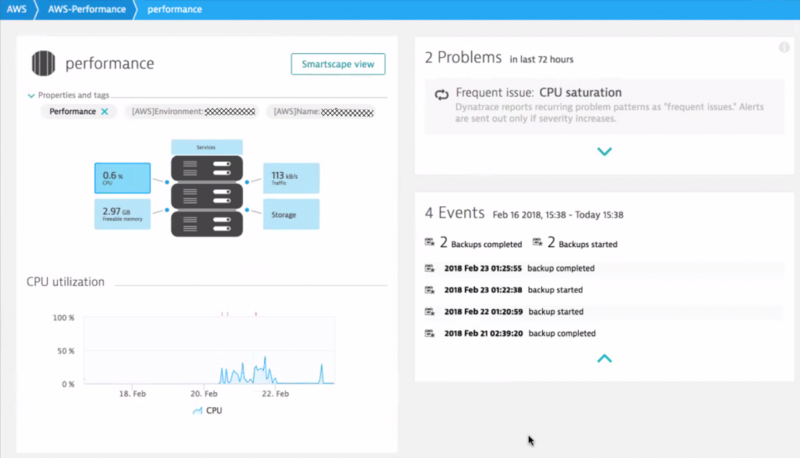 If you want a Dynatrace Managed instead of a SaaS instance on AWS check out the recently announced Dynatrace Managed Cluster on AWS Quick Start. On the infrastructure side their environments leverage Terraform and Ansible to deploy EC2 instances on which they run Mesos orchestration to host their Spring Boot Java services in Docker containers! 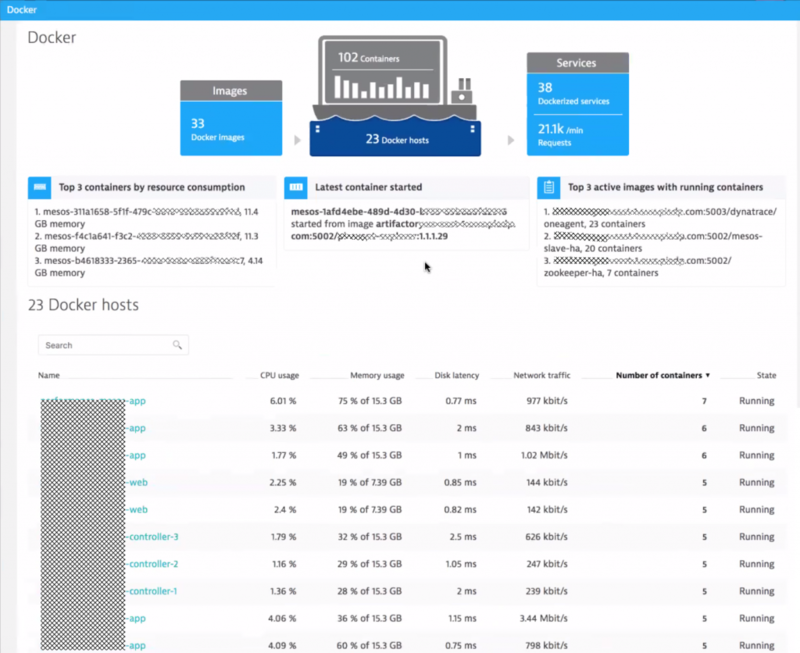 Benefit #1: Dynatrace allows easy management of containers and images! 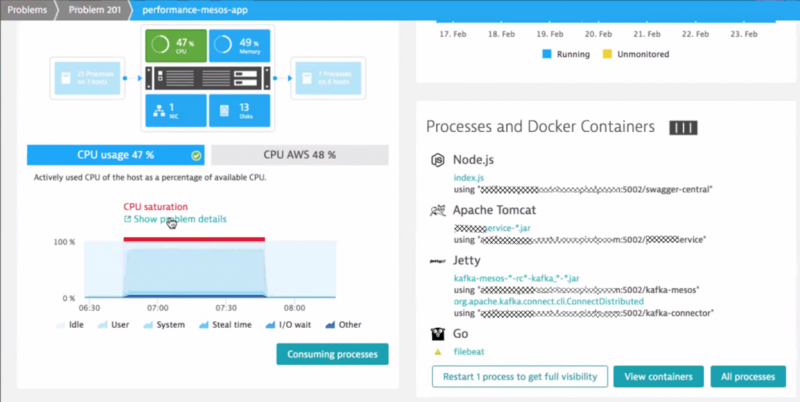 Dynatrace provides full container visibility by either being deployed on the Docker host or running as a Docker container itself. Easy overview of all containers overall, grouped by image or by host. All these metrics are also automatically fed into the Dynatrace AI for automatic anomaly detection. Our customer has also setup the Dynatrace AWS CloudWatch integration which not only automatically pulls in key CloudWatch metrics of AWS Services such as S3, EBS, RDS, DynamoDB, Lambda, ELB … but also pulls in Tags from EC2 instances, which get automatically applied to the monitored hosts where a Dynatrace OneAgent is installed. This makes managing all performance data much easier because dashboards, filters and notifications can be setup using the same tags as already defined on AWS. Most of this data is pulled from AWS CloudWatch and gets combined with data captured from Dynatrace OneAgent, Plugins or pushed via the Dynatrace REST API. TIP: If you want to learn more about basic AWS monitoring, I suggest you walk through my 101 AWS Monitoring GitHub Tutorial or watch my 101 AWS Monitoring Performance Clinic on YouTube. There I explain the integration with CloudWatch, how to deploy OneAgents on EC2 and how to monitor applications deployed on Beanstalk, ECS or Lambda! While having more monitoring data available is great, thanks to the Dynatrace OneAgent and the AWS CloudWatch integration, it doesn’t mean that the team can spend more time analyzing more data points. This is where the Dynatrace automatic baselining, anomaly and root cause detection helps. 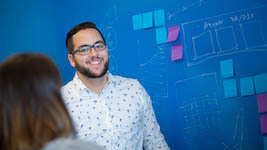 I asked them if they have an example of how the Dynatrace AI helps their infrastructure team to help a stable and healthy environment for the services that the development teams run on top. They opened the Dynatrace Problem View, clicked on the Infrastructure filter and then walked me through the following screenshots. 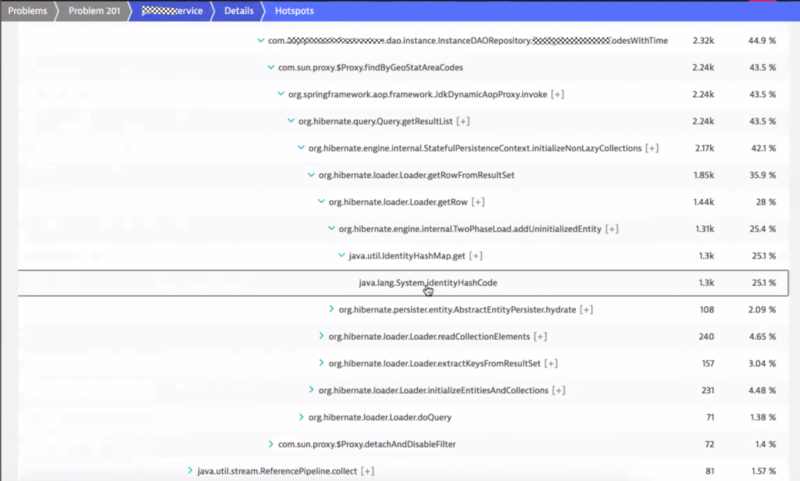 They showed me how Dynatrace detected a network connectivity issue of several haproxy instances running in Docker containers orchestrated by Mesos across several EC2 instances. 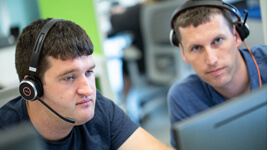 Thanks to Smartscape, the infrastructure team not only knows which infrastructure components or critical services are currently in an unhealthy state. Smartscape also shows all the depending services that haproxy is connecting. Based on that information, it is easier to understand the potential impact to higher-level services, applications or even end users. This also helps to prioritize remediation actions – whether executed manually or automated. 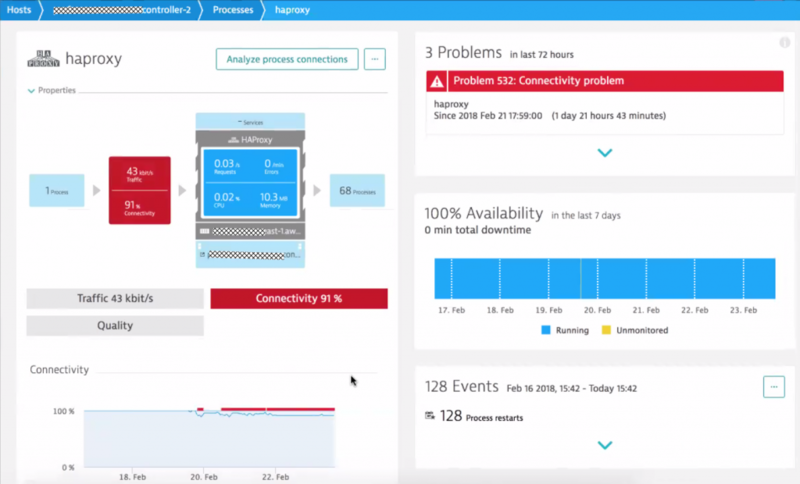 TIP: If you want to learn more about how Dynatrace helps your IT Service and Operations (ITSM) check out the information around our ServiceNow Integration or how you can integrate Dynatrace with any CMDB YouTube Tutorial. 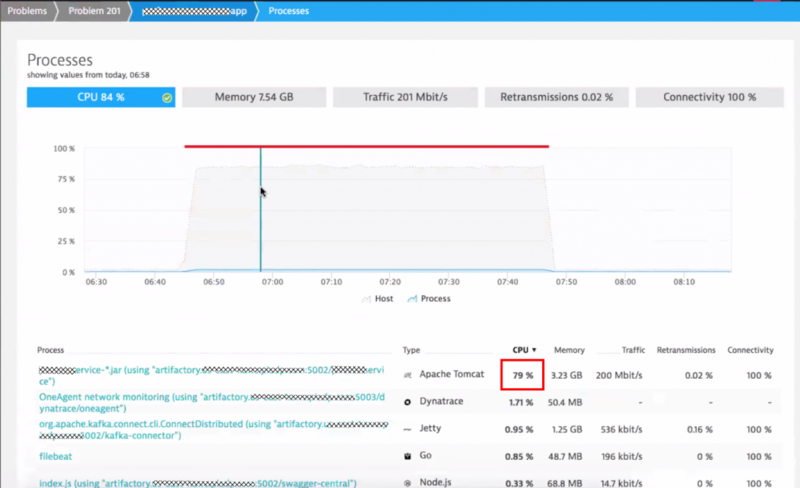 If you want to see other examples of detected infrastructure problems check out my recent blog on AI In Action: RabbitMQ, Cassandra and JVM Memory. What runs on top of this dynamic cloud & container infrastructure? I am sure you guessed the answer: Services that their development teams are trying to get performance feedback on. The primary type of services they implement using Spring Boot expose REST APIs for their B2B offerings. Some of these APIs have well defined SLAs, which is why their team decided to define several custom thresholds for the different REST endpoints. When developers make code changes, those get automatically deployed with the next scheduled build and get automatically tested. LoadRunner and JMeter are used to generate the load against their various REST APIs. 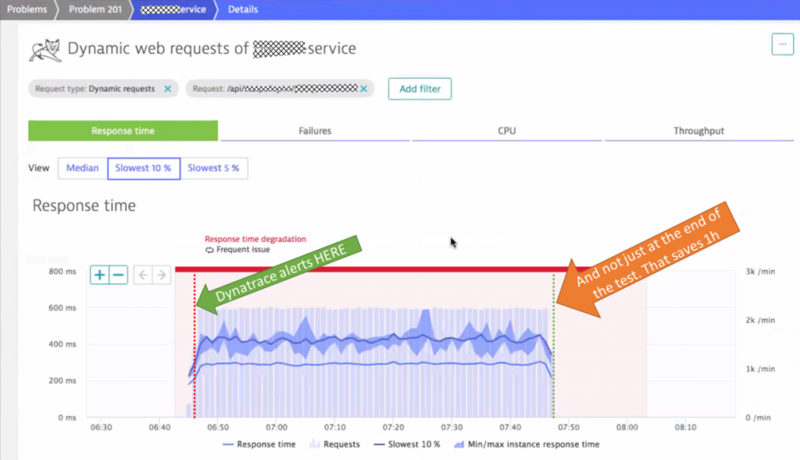 These tests typically run for little over one hour after which developers pro-actively reach out to the Dynatrace dashboards to analyze how their code was performing, where the hotspots are and where there might have scalability issues. 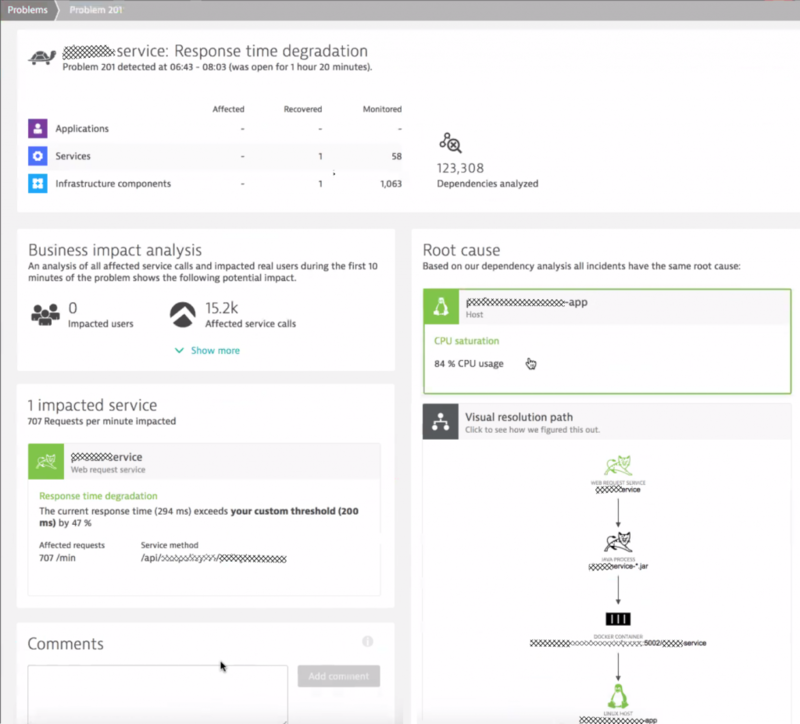 While Dynatrace gives them access to all data through the dashboards, the team started to see the benefit in time savings when using the Dynatrace AI automatic detected problems and root causes. 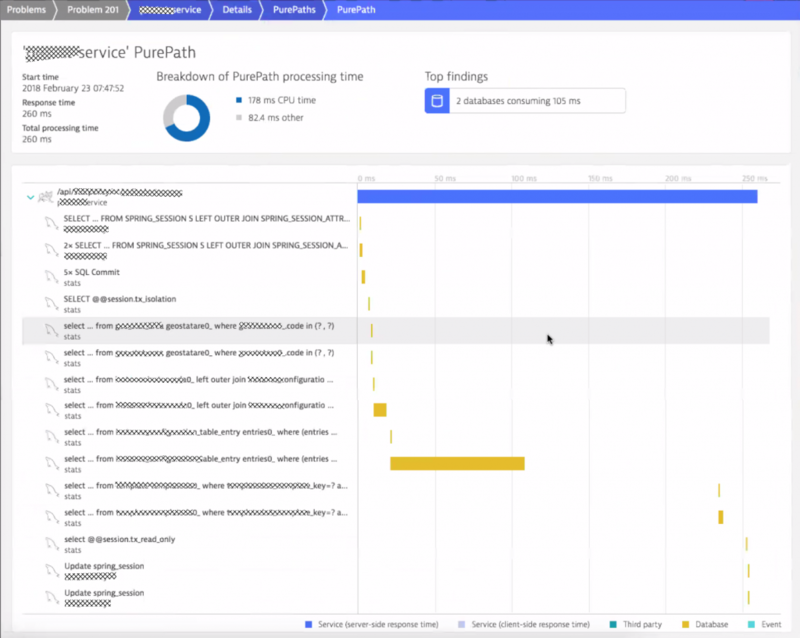 The time saved can be better spent on building new features instead of manually analyzing the same metrics, log files, stack traces or CPU samples every time a test executes. 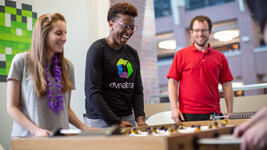 Dynatrace automates all the manual work a performance engineer would do. Highlighting slowdowns on individual endpoints and surfacing the potential root cause. Thanks to the host, process and service tagging capabilities of Dynatrace, each service is tagged with the name of the team responsible. In case Dynatrace detects a problem the team automatically gets notified thanks to the Alerting Profile feature in Dynatrace. Alerting Profiles allow sending problem notifications ONLY to those teams of services where a problem was detected. The notification (email, JIRA, Slack, Mattermost, Flowdock) also gets sent out immediately when the problem is detected and not only at the end of the test. This also speeds up the feedback loop cycle time in case a code change has an obvious issue which can be detected by Dynatrace within minutes. 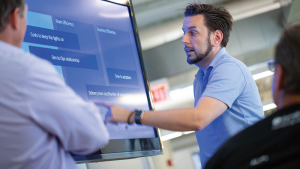 Dynatrace gives us key resource metrics for every process over time. Easy to spot that it was indeed Tomcat consuming all that CPU! Response time analysis highlights the top hotspots down to SQL statements, queue access, service calls or method execution. As the SLA for their REST API endpoints is 200ms it is interesting to learn why most of this time is consumed in code execution. More interesting is WHERE in the code the time is spent. Clicking on “Code execution” in the response time analysis infographic, brings up the method hotspots view with a detailed breakdown. We got a winner: Hibernate! 44.9% of the total code execution time is spent retrieving data from the database through hibernate. The above screenshot shows the hotspot across all the request that exceeded the 200ms SLA. This is very useful and makes it easier to analyze and fix hotspots that are impacting many transactions and not just individual requests. Thanks to the Dynatrace PurePath technology every single transaction is also available for inspection. Seeing the PurePath allows engineers to better understand the sequence of code execution which is very useful in distributed or asynchronous transactions. 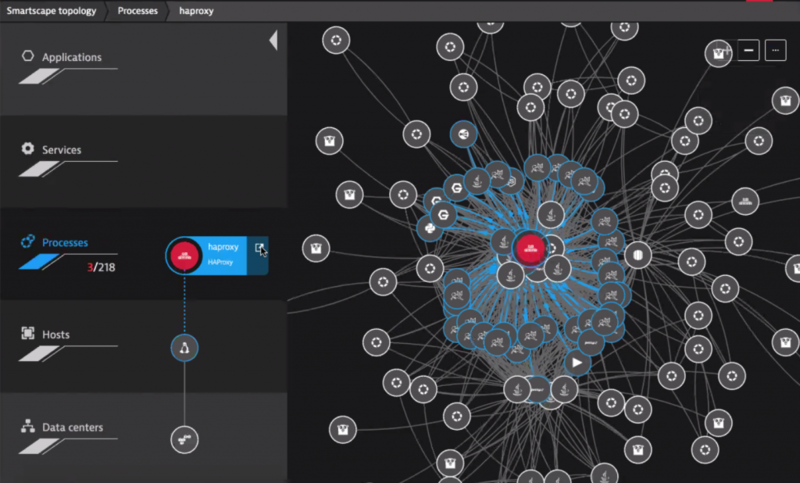 Dynatrace PurePath giving you full insights into every single end-to-end transaction. Very useful for engineers to understand where time is spent! Tip: I get a lot of questions from users that integrate Dynatrace with their load testing tools. Make sure to check out my blog on Load Testing Redefined or watch my Load Testing YouTube tutorial. 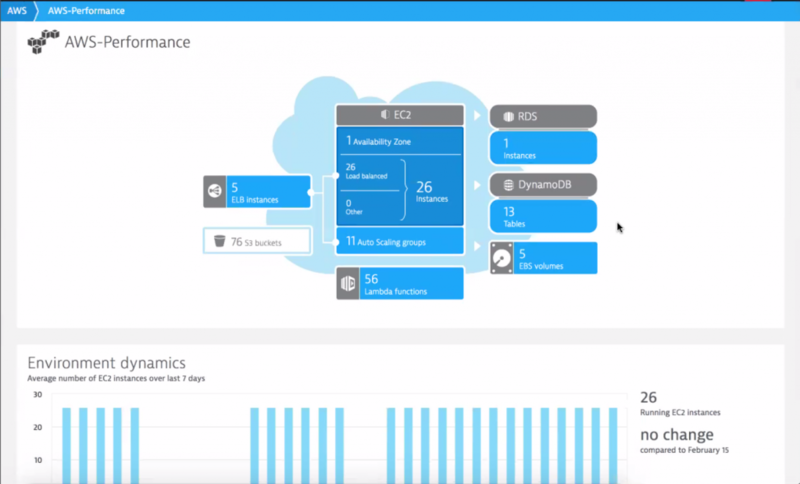 If you want to learn more about diagnostics option with Dynatrace then check out Basic Diagnostics or Advanced Diagnostics with Dynatrace. 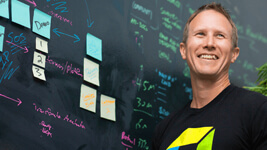 What else can be done with Dynatrace? How many containers are running vs. how many should run? Do we run too many containers on a single host? If you have any further questions let me know. Happy to give you more insights into how Shift-Left can be done with Dynatrace and happy to share your own implementation. Just let me know!